It is a.t.b. 2018, one year after the Order of the Black Knights, the main rebel faction of Area 11 and the hope of Japan, was defeated with their masked leader, Zero, presumed dead. A Zeppelin-like airship hovers above Tokyo and the pilot appears to be C.C. Inside is Urabe with the remaining members of the Order of the Black Knights who are plotting for a comeback. More after the jump. 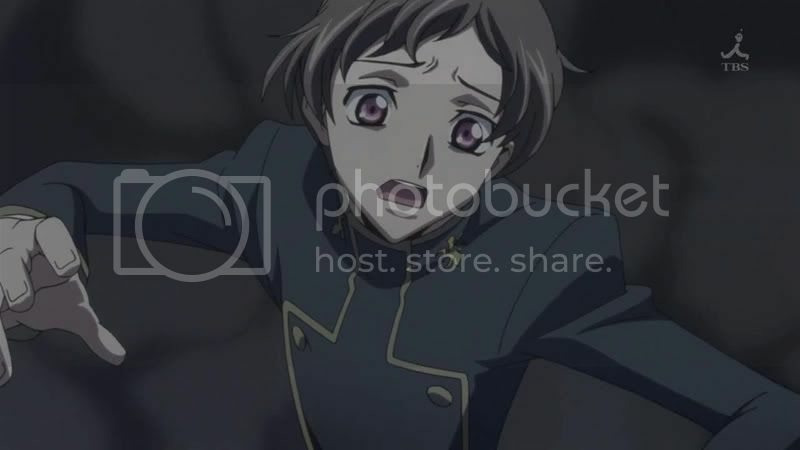 Walking down the hallway of Ashford Academy is Lelouch and he was then caught up by Villetta who is now a teacher in the school. He gave her a chase and with Rivalz’s help, Lelouch managed to elude her. Again. Using Rivalz’s bike, he ran off with his brother, Rollo. 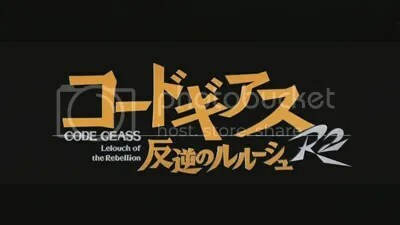 Lelouch begins to reminiscent over the past event when Zero began the Black Rebellion. At that time, Lelouch had planned to return to Britannia with his brother. 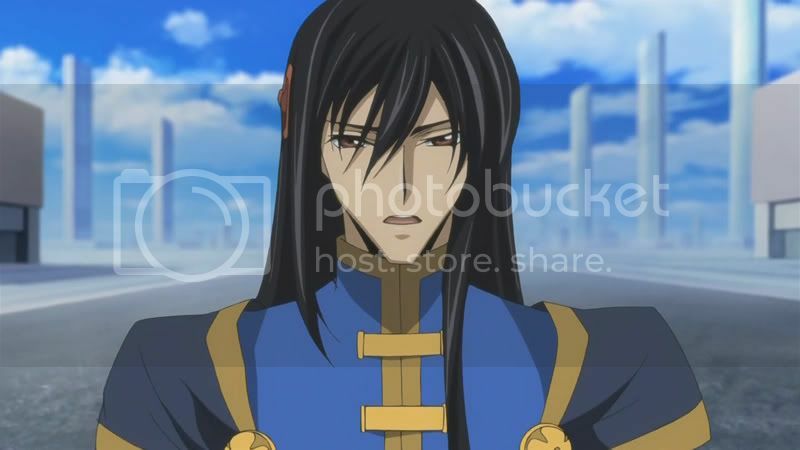 When Rollo came to ask about the ambition form, Lelouch expressed his frustration being a student and being used. He knows that once he steps into the real world, everything is controlled by corporations and aristocrats. 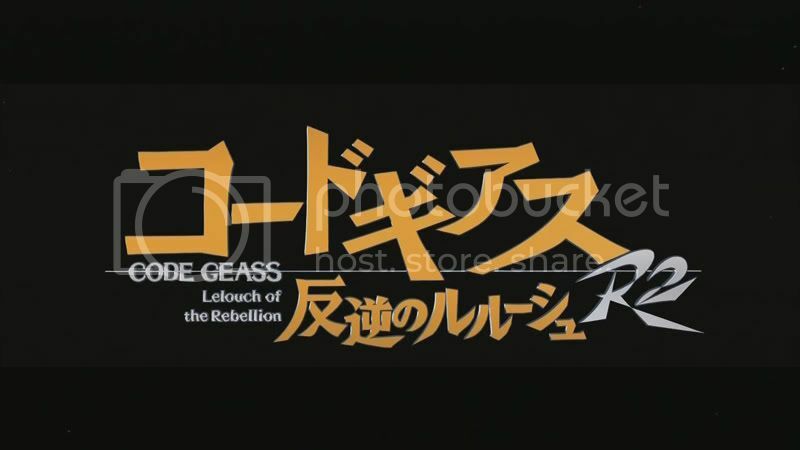 Although Lelouch seems to be a different person, at least, his resentment for the current world remains the same. 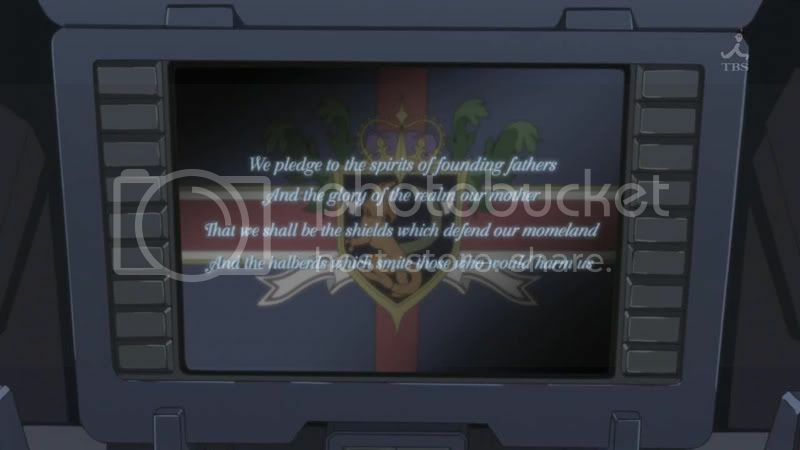 The execution of the Elevens is televised live on the public display with Governor-General Carares giving staunch propaganda about the difference between the Britannians and the Elevens. 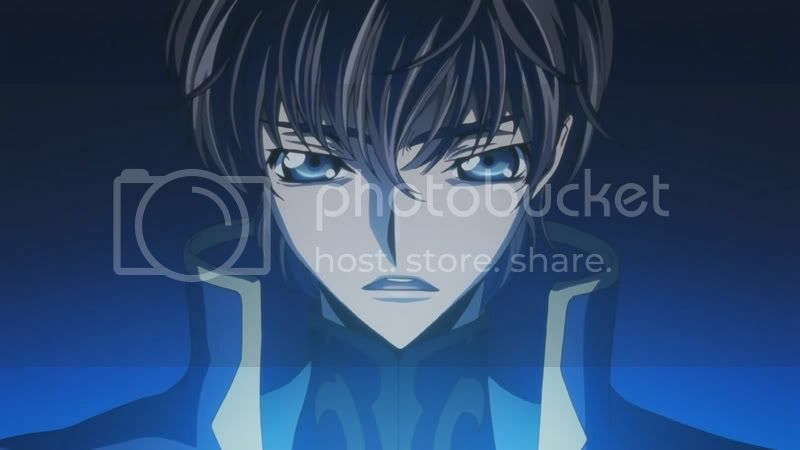 Lelouch thinks that the Elevens lost because they are weak and that Zero is a fool. Meanwhile Carares is about to receive the representatives of the Chinese Federation while worrying over the operation of the Secret Intelligence team working under the direction of the Emperor at the Babel Tower, thinking that the Emperor’s decision was uncalled for. He believes that everything is running smoothly, now that the Order of the Black Knights is swindling in strength and Zero is dead (presumably). 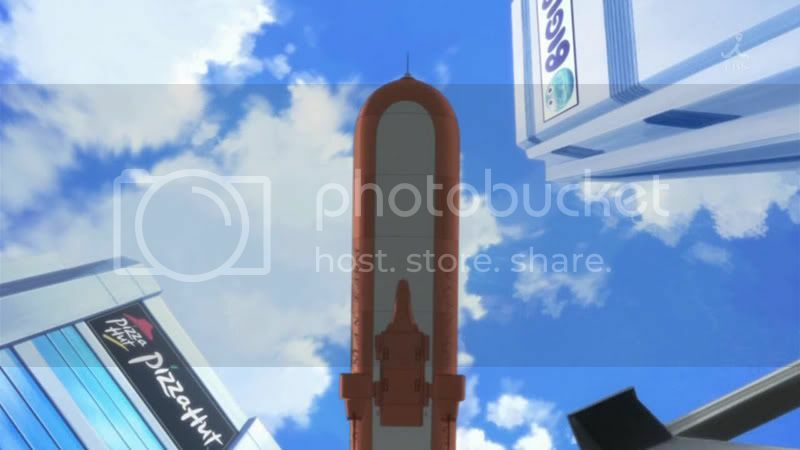 Apparently Lelouch and Rollo are heading to the Babel Tower and little that they know that the Secret Intelligence team is targeting for Lelouch. The place they headed to turns out to be a casino, where all sorts of games are on the bet including wrestling among the Elevens. 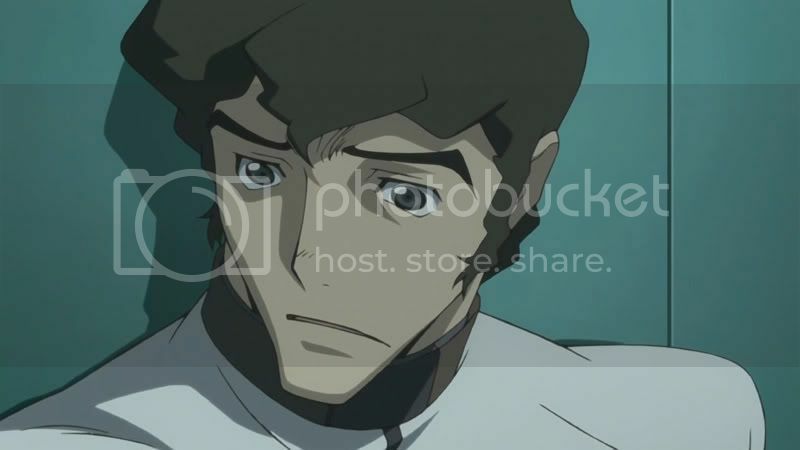 Rollo is uncomfortable to see the fight but Lelouch believes that it is the reality – Britannians enjoying over the Elevens’ misery. He also thinks that the Elevens deserve it, considering that they lost twice. Moments later, he knocked over one of the bunny-outfitted waitress who is actually Kallen. I’m surprised to see that they both do not to recognize each other at that moment. 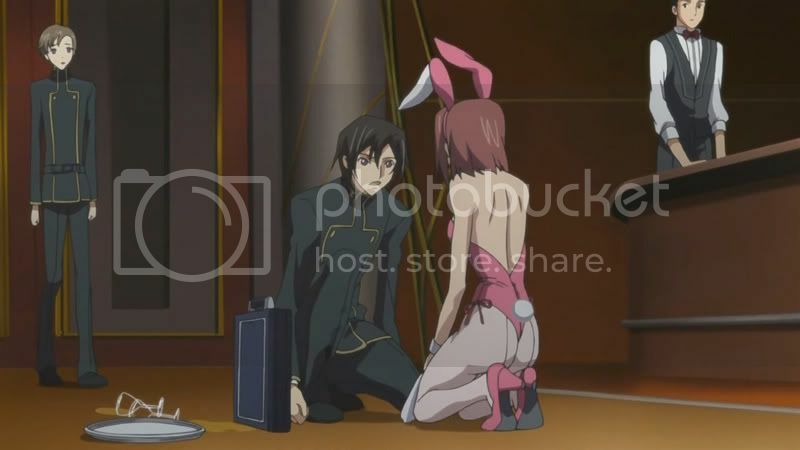 At one point, Kallen tries to plant a microchip bug on to Lelouch but a man came to pull her away as he was trying to look for some bunny girls for him to buy. 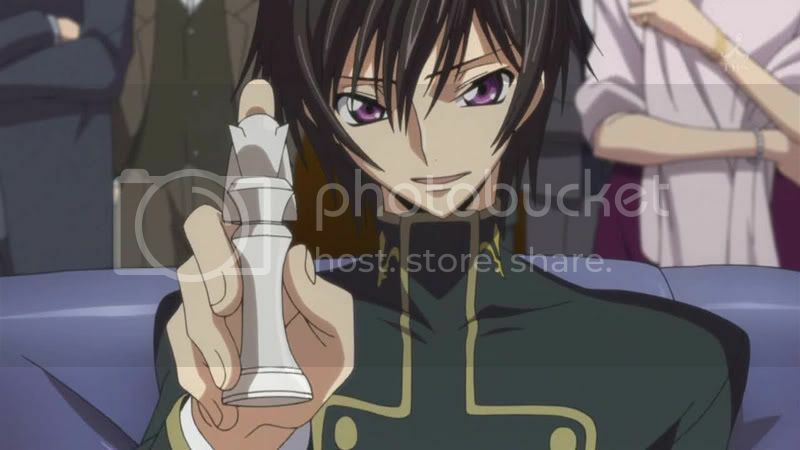 Lelouch stops him and then challenges him for a game of chess after recognizing him as the Black King who is a chess expert. Meanwhile the captured members of the Order of the Black Knights argued whether Zero had betrayed them but Ougi believes that he has a reason for bailing out in the final battle. However Todou firmly believes that Zero is already dead. 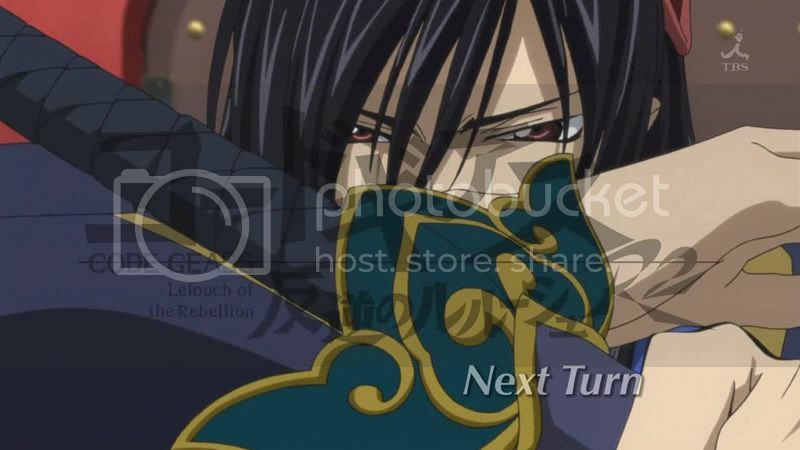 Back to Lelouch, he easily took out his opponent. 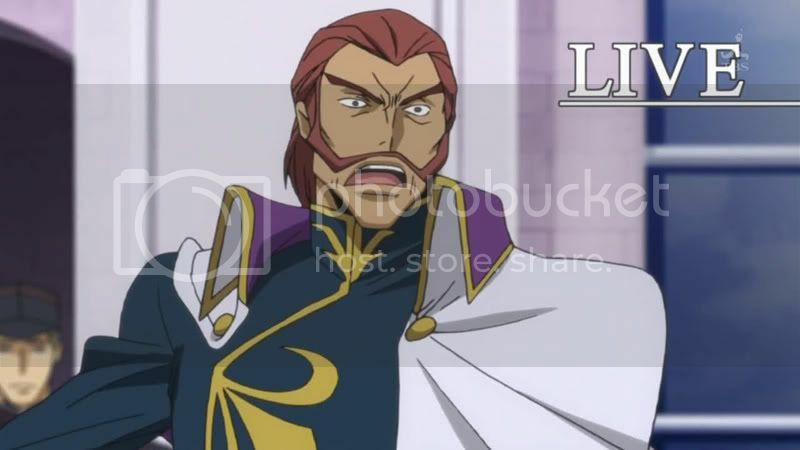 Despite the defeat, the Black King was in denial, purportedly saying that Lelouch cheated in the game. 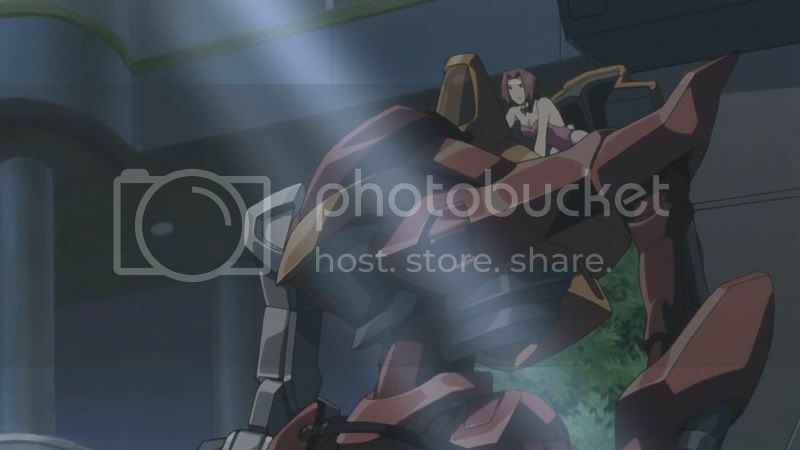 Suddenly an explosion on the rooftop rocked the tower and Kallen used the opportunity to knock Black King out cold. It turns out that the airship begins to invade the tower and Knightmares begin to deploy to the tower. Kallen immediately took Lelouch away and Rollo gave them a chase. This is when the Secret Intelligence team begins to make their move. Meanwhile Carares receives the arrival of the Chinese Federation representatives – Gaohai and his bodyguard, Li Xingke. The Britannian guards asked Xingke to remove his sword, calling it an antique. But Xingke showed off his swift swordmanship and cuts off their belts. Their conversation got interrupt by the bombarding sounds at the Babel Tower. 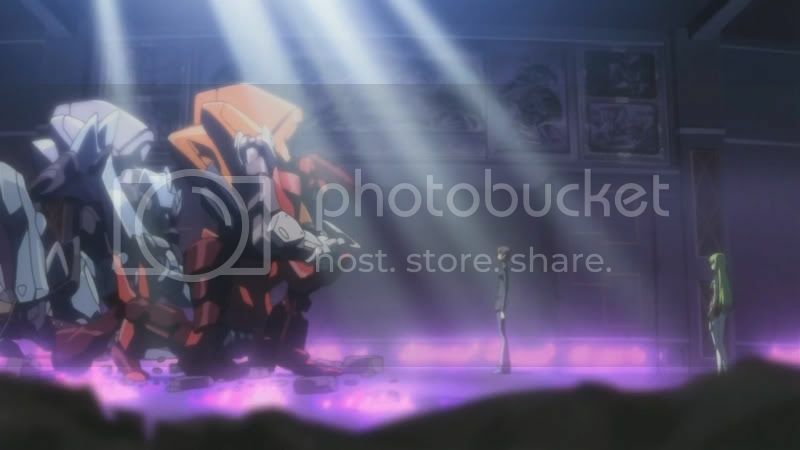 At the tower, Kallen got separated from Lelouch as he was taken away by Rollo. 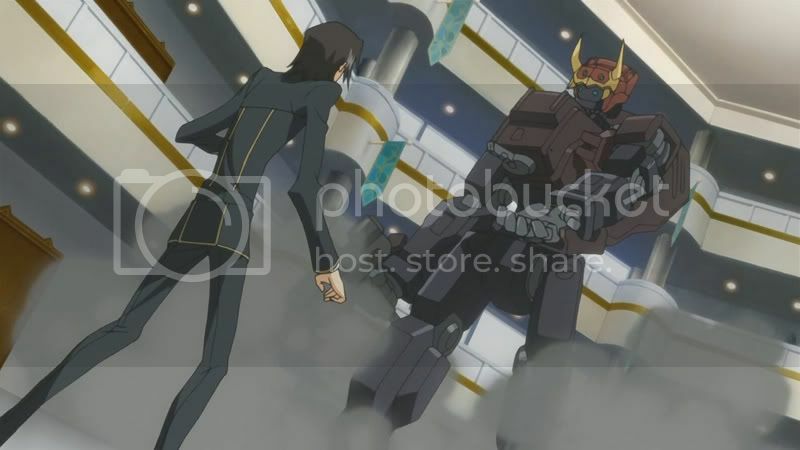 As Lelouch and Rollo runs across the lobby, a Knightmare came in front of them and it reaches out to Lelouch. 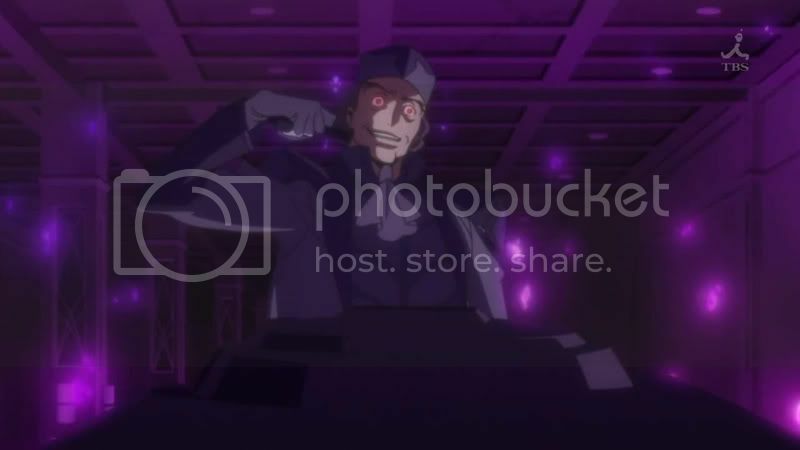 He was shocked to see this but immediately the Britannia army made their entrance to the building and begin shooting at everyone – Britannians and Elevens alike. Lelouch and Rollo made their run for it. 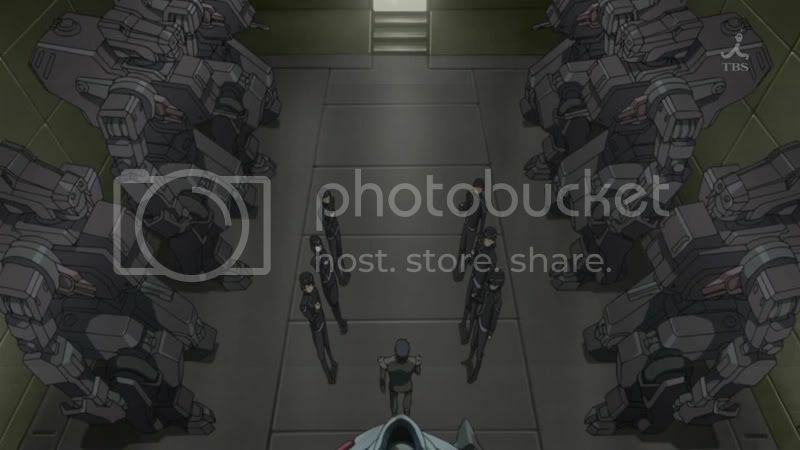 Kallen on the other hand, made her way to her Guren Nishiki and joins the rest of her team. 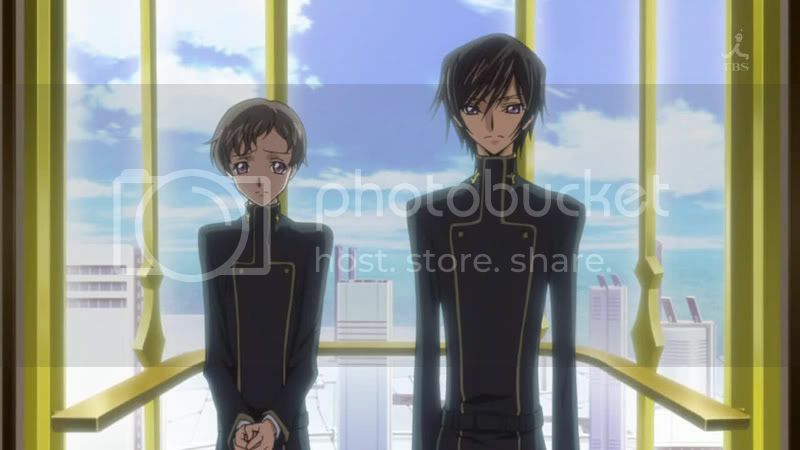 Lelouch and Rollo made their escape to a reconstructed room as Lelouch convinced his brother that they are safe for now. But it was short-lived as he saw a member of the Order of the Black Knight above Rollo and immediately took him away to safety. 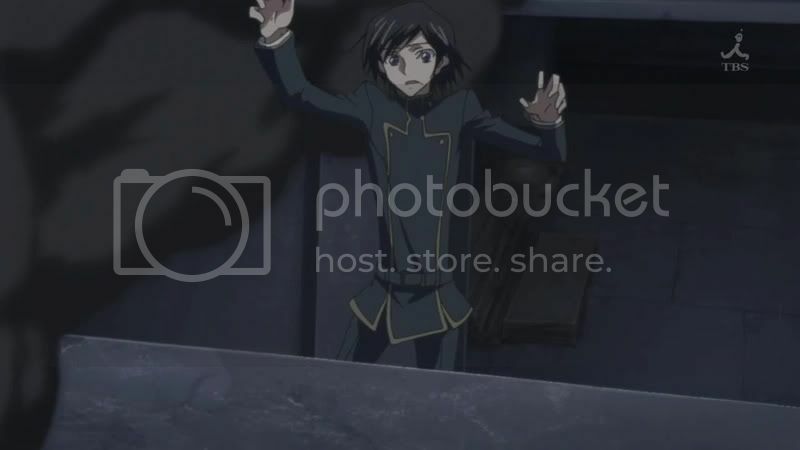 An explosion moments later caused Lelouch to lose his footing and falls down to the bottom. 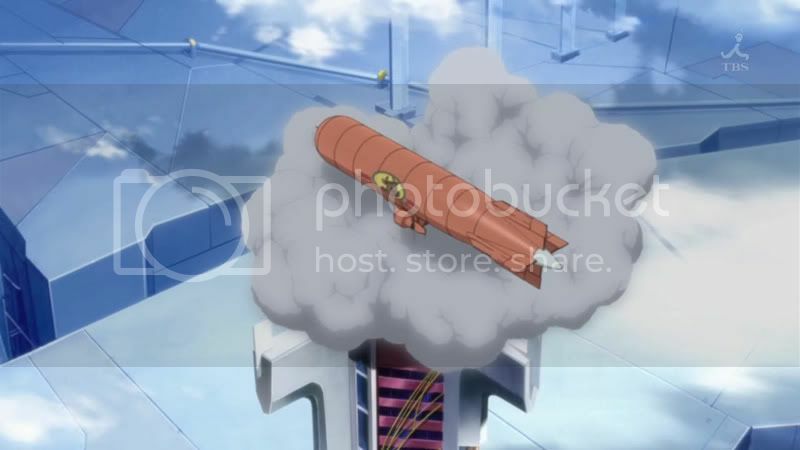 Fortunately for Lelouch, the safety net below caught his landing. But his main concern for the moment is Rollo and he immediately makes his way up to find him. On his way up, he saw many corpses lying around including the Black King and he was overwhelmed by the reality of terrorism. However he was also surprised to see Elevens among the casualties. 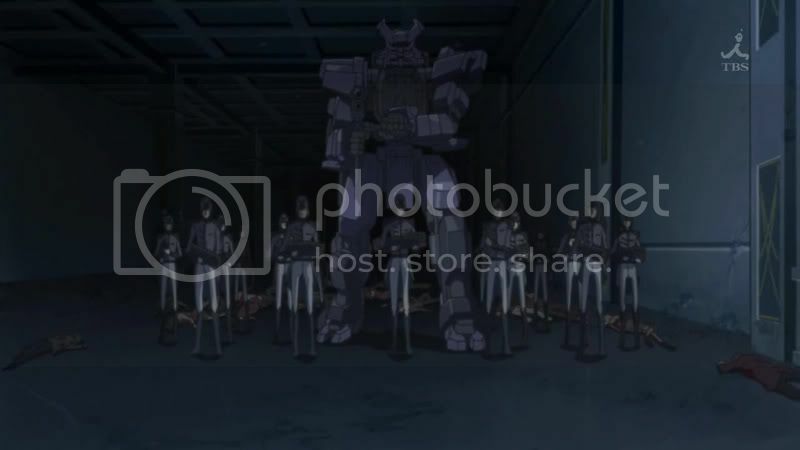 Then the same Knightmare appeared to Lelouch and this time, the pilot comes out from the cockpit. The pilot was none other than C.C. 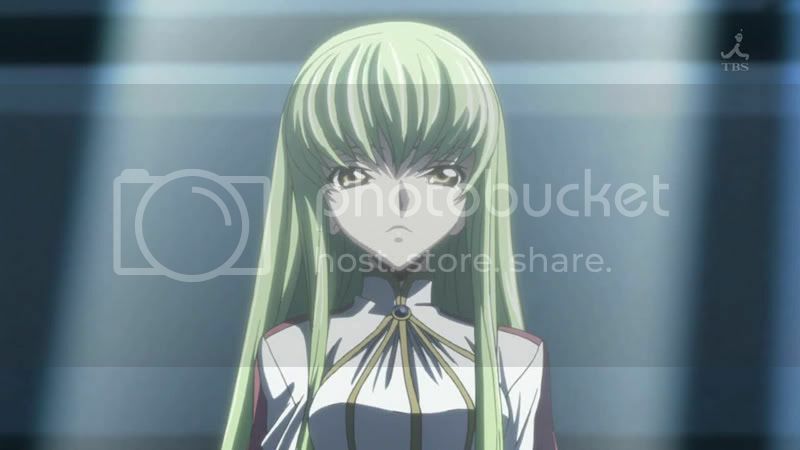 and she begins to tell Lelouch that she is his ally and Britannia is his enemy. She also reminds of the contract they made before. Of course, Lelouch felt puzzled and terrified at the same time. But when C.C. told him that she knows the real him, I must say he looked astonished and begins to walk towards her. 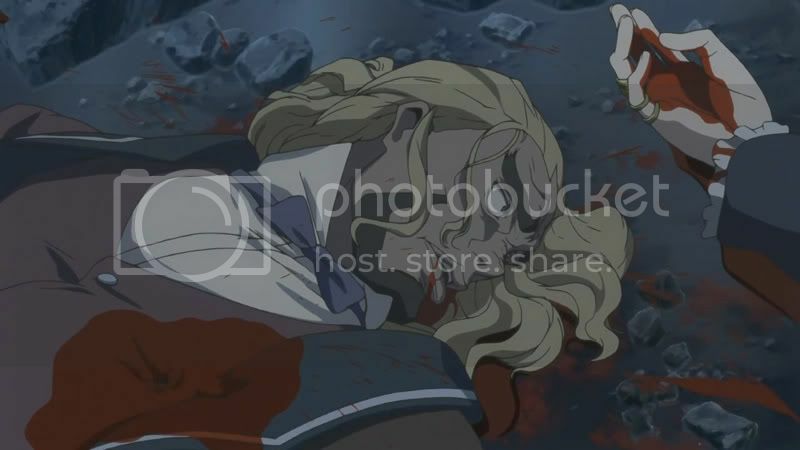 Suddenly she was shot from the back and he immediately catches her. 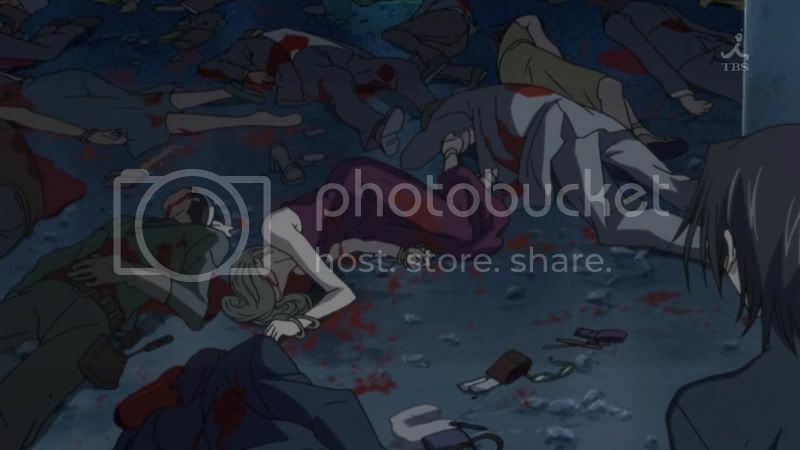 The shot came from the Secret Intelligence team and one of them begins to burn all the victims who got shot including those who are still alive. 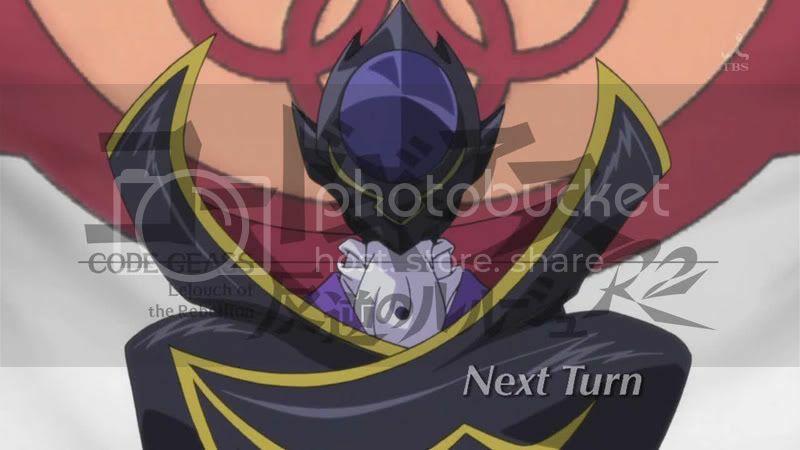 Their leader comes out of his Knightmare and thanked Lelouch for his role. 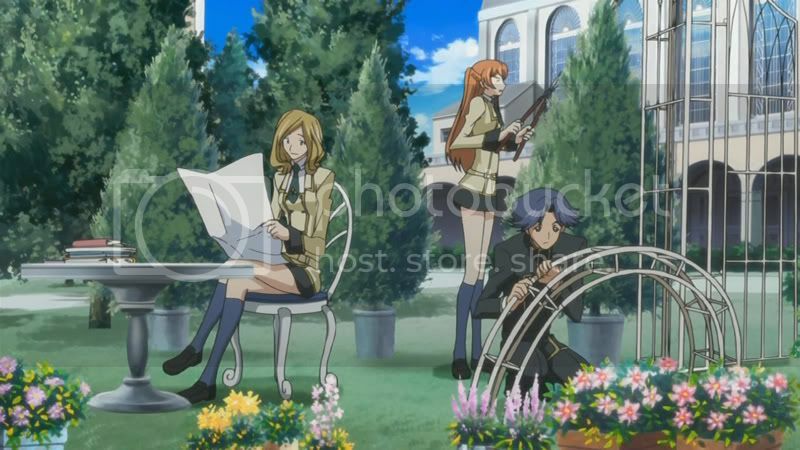 He then begins to read out every single detail of Lelouch’s daily activity from a logbook. He made out his point that Lelouch becomes a bait for them to lure out C.C. 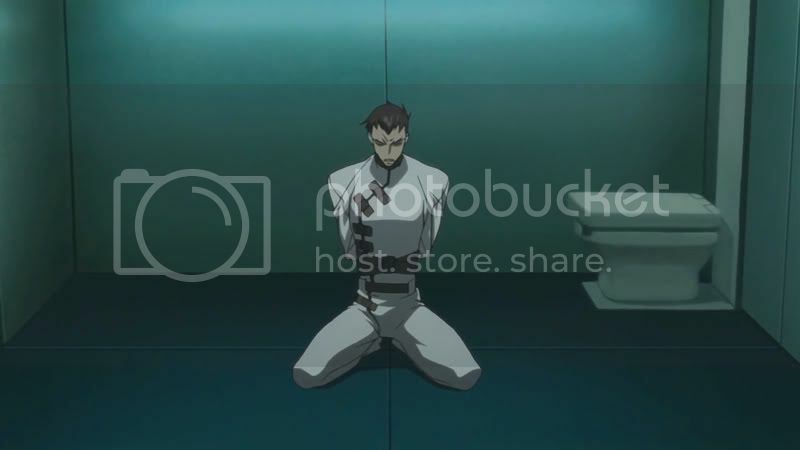 Now that Lelouch’s role is over, they wanted to dispose him. 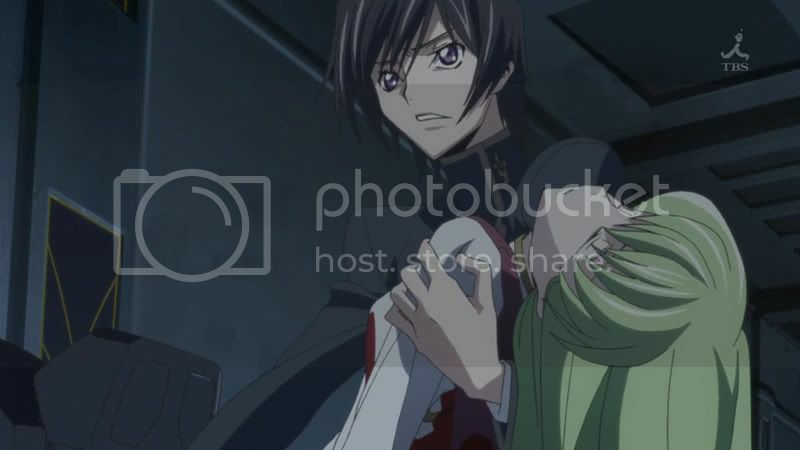 As they pointed their guns at him, Lelouch begins to think that his life was taken away so easily without any meaning and wished that he has a power to stop it and fight against the world. All of the sudden, C.C. grabs him and kisses him. This gives him all sorts of vision and a voice from C.C. calling out to him that he already has the power – the Power of the King – and it is time for him to unseal it. 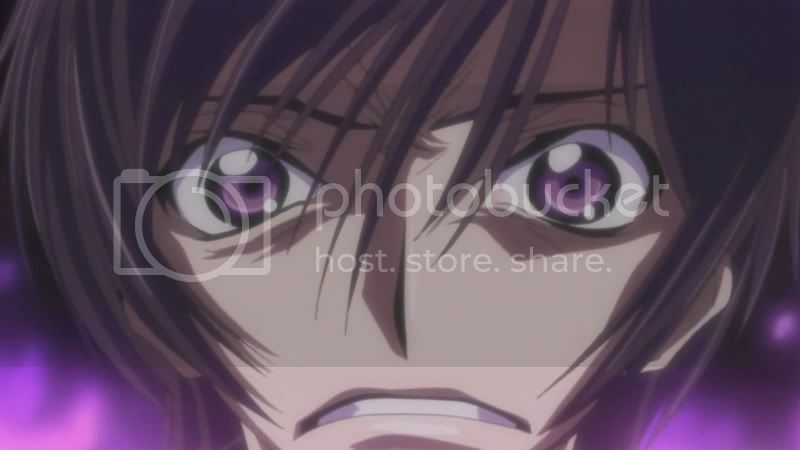 This is when Lelouch begins to remember everything about his true self. Of who he really is and was. He also comes to an understanding that all the memories he has now are fake. So he got up with C.C. and ask them a question. He asked them whether revenge is evil and whether friendship can coexist with justice. But the leader chose to ignore him, calling him a bait and death is what awaits him. Hearing this answer, he then uses his Geass and orders them to kill themselves. With full obedience, they did exactly what they were told. At that moment, he was aware that something felt wrong about his life for all the while as he lived out a fake life he was not able to fit in. He blames the whole world for allowing it to happen and he wants to change it. Then Urabe and Kallen comes in with their Knightmare. Calling Lelouch as Zero, they ask him for his next order. He then declares himself as Zero, the one who will destroy and recreate the world. 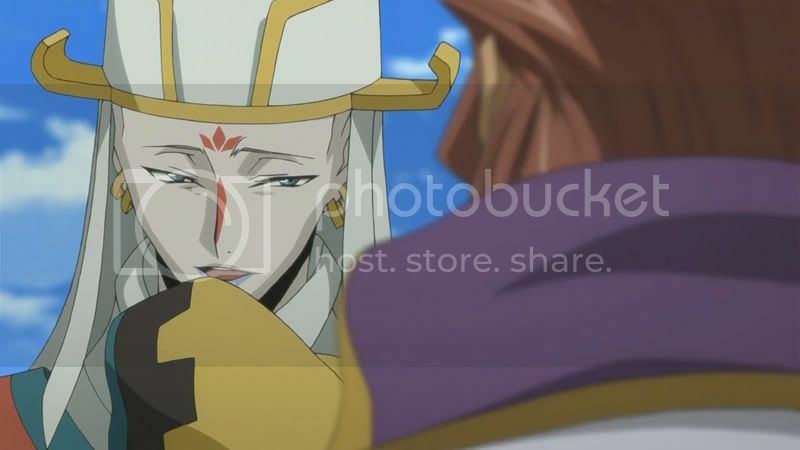 Meanwhile Suzaku and two other knights (Zino and Anya) meets the Emperor and he promises to kill Zero with his own hands. I was lost at the beginning of the episode and I felt that Lelouch is a different person now compared to the first season. 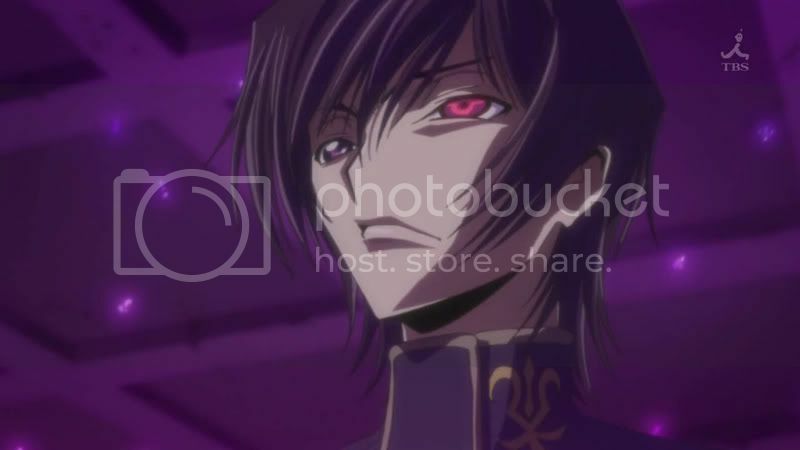 Only at occasions when he felt like he wants to have a power, those moments really felt like Lelouch is back – but he didn’t. It was not until C.C. 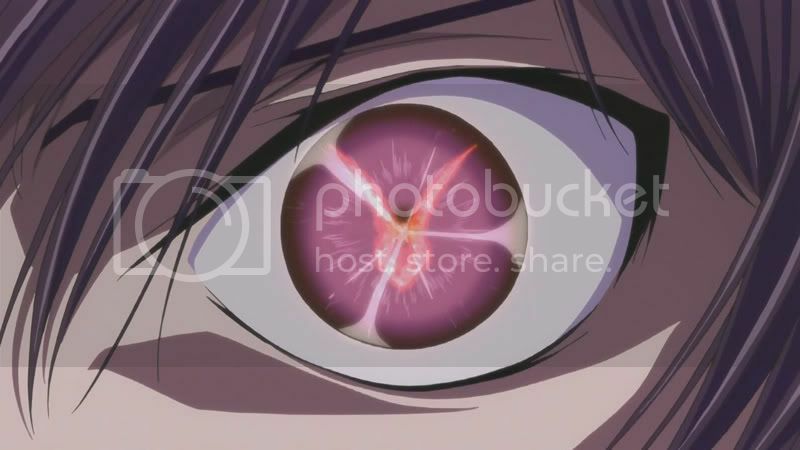 came up to him and reminds him of the Geass he has, Lelouch came to realize that he is living a fabricated life. 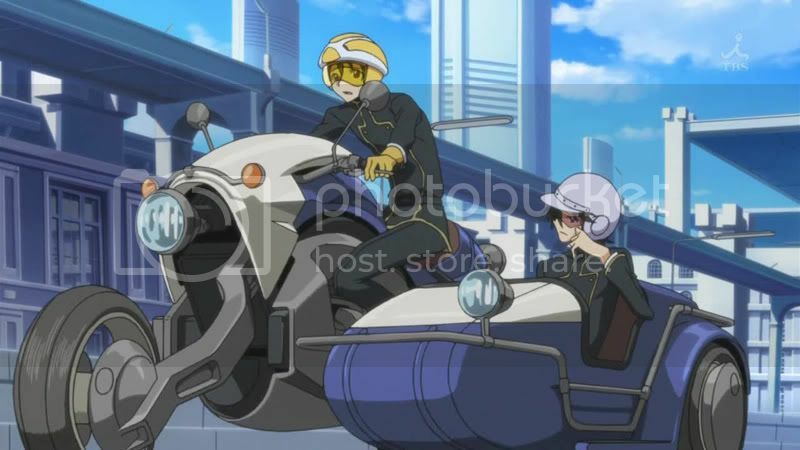 I don’t how did he receive such fake memories but rest assured, Lelouch is back to he was. Or is. Zero is back. Nevertheless even Suzaku is back. However this time, Suzaku looks more sinister and his hatred for Zero seems to have consumed him. 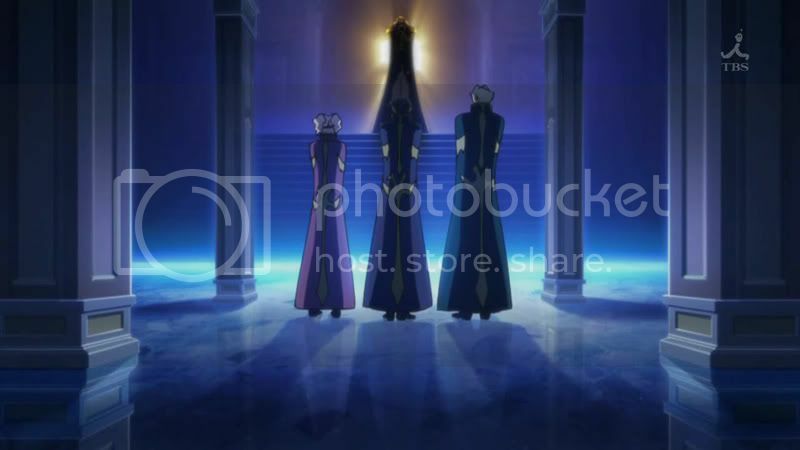 I’m also surprised that the Emperor made direct appearance this time, especially that he is the one behind the team that went after Lelouch. 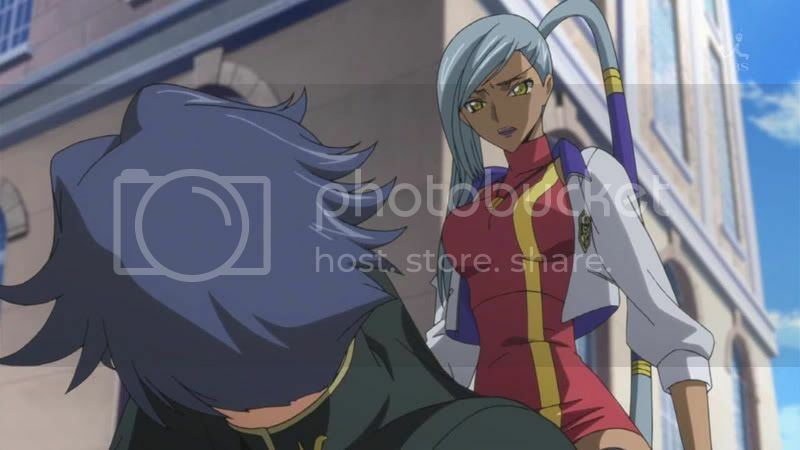 He also seems to be the one who picked Suzaku to kill Zero. Maybe this time around, we might get to see the Emperor doing some real action. And of course, more airtime for him. Then of course, there’s Rollo. For a person who never appeared before, coming in as Lelouch’s brother does seem to be very abrupt. 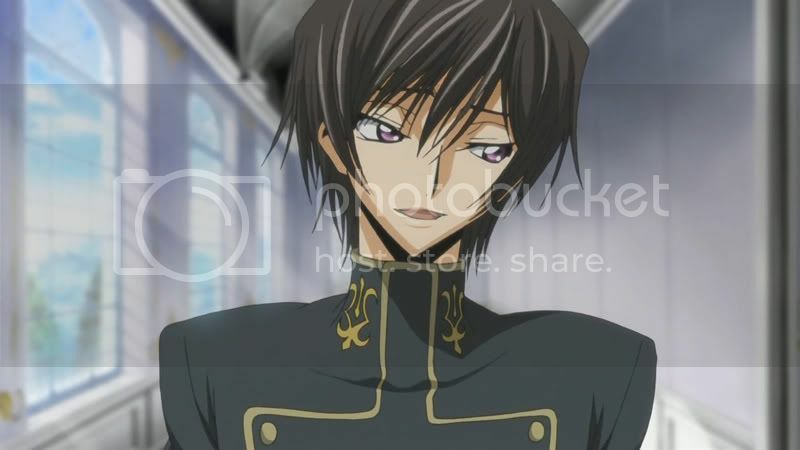 I believe he is not Lelouch’s real brother and I’m sure he’s aware of it as well. 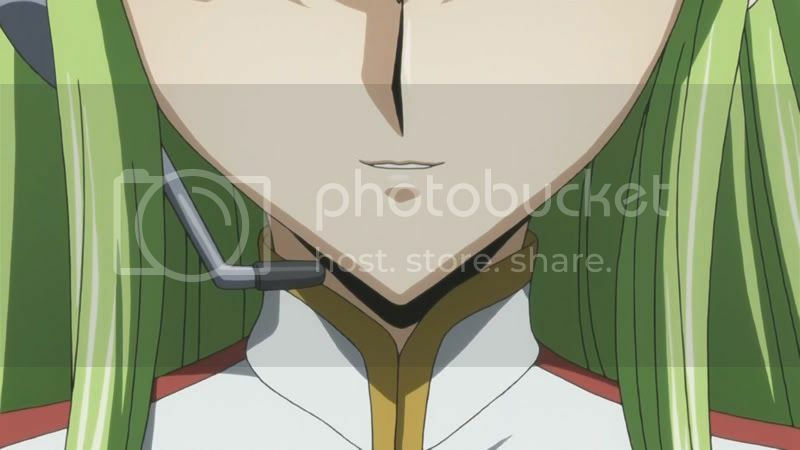 He is there probably to serve as a cover for Lelouch in order to build the fake life he has been doing for the past year. Why he did? How he did it? Those questions remain unanswered, not until for the coming few episodes. Whether you noticed it or not, this episode really does remind you of episode 1 of the first season, don’t you think? 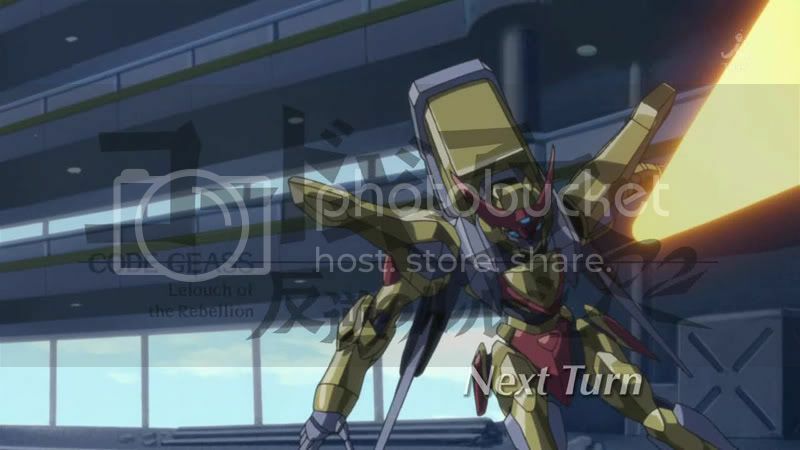 Next episode: Suzaku is back in action. And even Vincent will make its debut. Vincent is supposed to be a mass-produced units of Lancelot. It seems that the Order of the Black Knight will have it rough this time.